This week: you have a couple of new retargeting options, Amazon sets a new record, and Google has banned pop-under AdSense ads. Amazon’s biggest sales day ever was this past week. Unsurprisingly, it occurred on Prime Day. The e-commerce giant reported that sales topped $1.5 billion in the US and $2 billion worldwide. Amazon also said that more people became Prime members on July 11 than on any other day in Amazon’s history. How many of those folks cancelled their Prime membership on July 13? Amazon isn’t reporting that. If you’re a publisher who relies on AdSense income, don’t even think about putting your ads in a pop-under window. Google won’t allow it. You’re also prohibited from using popup ads, in case you weren’t aware of that. Google is threatening to pull monetization from sites that violate its terms of service. If you’re a fan of remarketing, you’ll be happy to learn that you have a new opportunity to target people who’ve engaged with your brand. 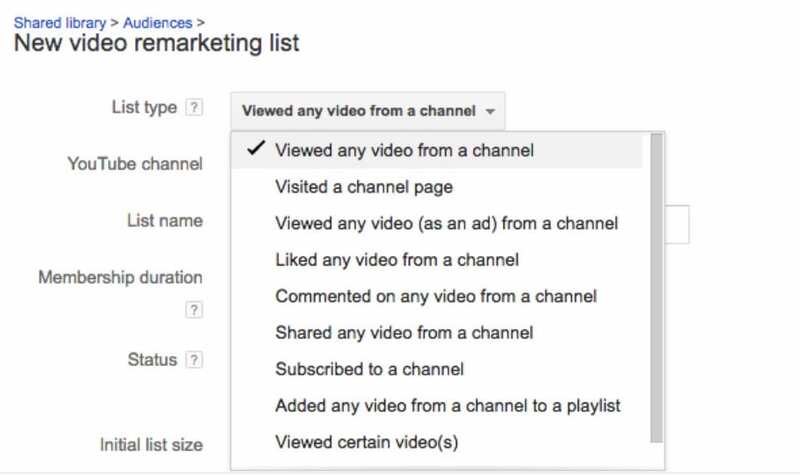 Google AdWords now allows you to remarket search ads to people who watch your company’s YouTube videos. AdWords already allows you to remarket YouTube ads to people who’ve visited your site. Now, you can show ads to people who have watched your video content. If you like to follow Google’s advice (and why wouldn’t you? ), then you should avoid redirecting users based on IP location. You can now message customers directly via Google My Business (GMB). Here’s how it works: Once you set up the messaging feature in your account, customers who see your local panel in a mobile search will notice a “Message” icon. If they click on that icon, they can send you a chat-like message that goes straight to your Allo device. You can chat back and forth with the customer just as you would if you were texting somebody. If you’ve been in digital marketing for any length of time, you’ve almost certainly heard of Rand Fishkin. He founded Moz. Now, he’s leaving the company. He’s still the largest shareholder of the company. As such, he’ll stay on as Chairman of the Board and take on an advisory role. Now we know why Facebook has been aggressively promoting its Messenger app. It’s a new revenue stream for the company. Facebook is rolling out ads for Messenger worldwide. Message ads will appear on the user’s main page, right under the “Messages” tab. As users scroll through messages, they’ll see “sponsored” messages as well. Yes, it’s very similar to how Facebook users see ads in their newsfeeds. If you want to try your hand at Messenger advertising, you can create the ads in Ads Manager or Power Editor. Google isn’t the only company giving you a new opportunity for retargeting. Facebook is doing so as well. Check out the “Audiences” tab in Facebook Business Manager and you’ll see three retargeting options for Instagram under the Engagement objective for a custom audience. The new options include Video, Lead Form, and Instagram Business Profile. If you select that last option, you can show retargeting ads to people who’ve viewed your Instagram business profile. That’s a great way to generate some more interest in your brand.